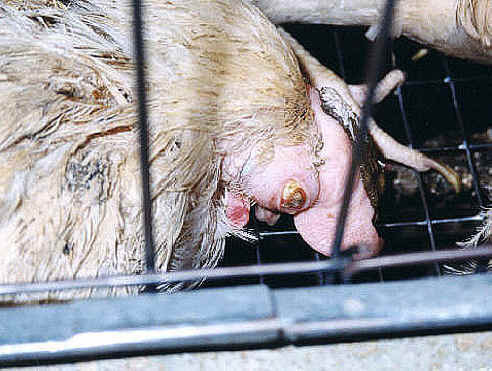 (Chicken Exploitation - Egg Production - 28) This is a photo of a hen with an eye infection. Since vet care costs more than allowing hens to languish and die, these types of injuries are ignored by the egg industry. This is just another example of the pain and suffering that is in every egg.